Sometimes one needs an alternative host or hostess gift. I mean, you've exhausted the wine options, or the host does not touch the stuff, or you just want a change. Here are a few old and new tricks hanging around my sleeve. 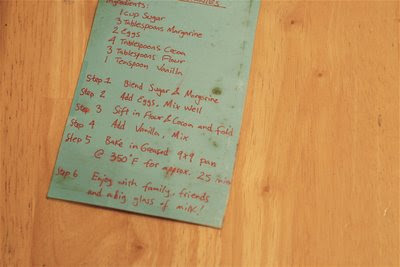 I will always appreciate your hand-written recipe, no need to buy anything. 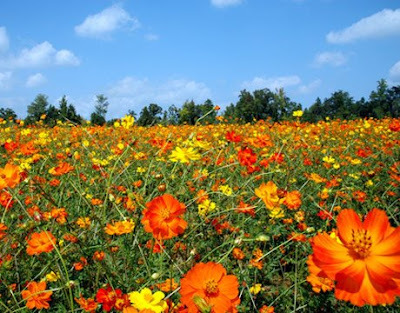 Tupelo Honey never crystallizes and is the smoothest most delicate honey most will ever encounter, Savannah Bee Company. Fresh creamline milk, coffee milk, and/or cream in real glass bottles fresh from the dairy. 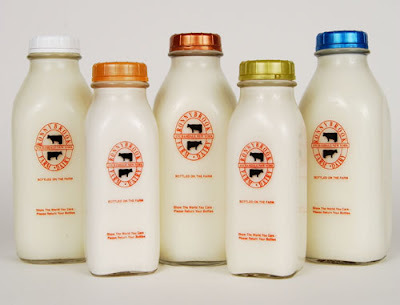 Our local fave is Ronnybrook (their creamline is pasteurized but not homogenized thus avoiding any raw milk issues) which is now known the world over for its flagship store in Chelsea Market located below Food Network. 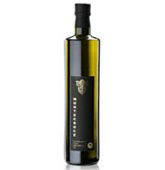 A bottle of really wonderful olive oil will never go unused. Grada Bresciano D.O.P. Extra Virgin, Avanti Savoia. 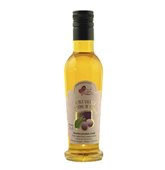 Cooks and connoisseurs might enjoy white truffle oil, Avanti Savoia. 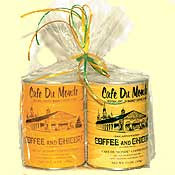 Cafe du Monde coffee gift basket. Good coffee from a city that could use your patronage. 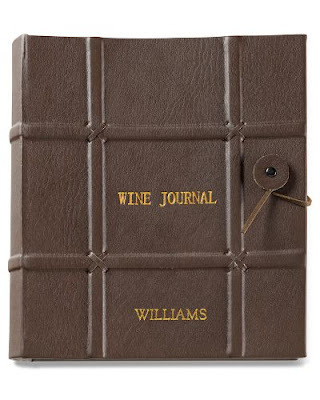 Journals particularly pertaining to entertaining (guest books, wine or entertaining journals) are always fabulous. William Sonoma. 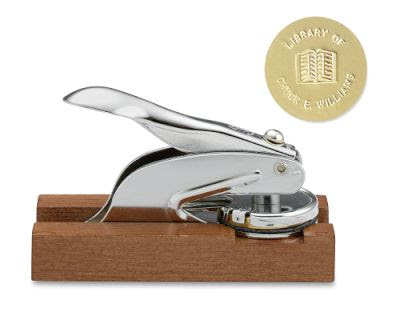 The personalized embosser is a favorite of mine. William Sonoma. 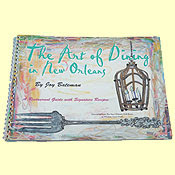 A cookbook from a city he or she loves or is planning to visit... remember to write a personal note inside the cover. 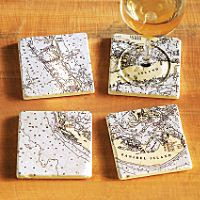 Nautical coasters personalized for the map location most important to their world. Thanks for these great ideas! I particularly like the "travel" cookbook; it's useful, personalized, and a little sentimental all at the same time! And those nautical coasters... I might just have to get those for my own porch! 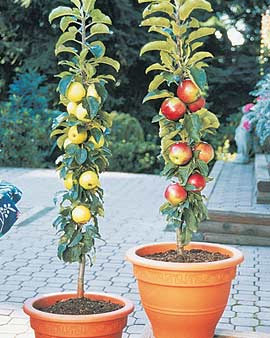 Another idea is to pick up a potted herb (grocery stores usually have them for a few dollars) and re-pot it in something you think the hostess (or host) will enjoy. Pottery, baskets, cute cans... whatever! Even if they have a black thumb, they'll have fresh herbs for at least a week! Another fabulous idea, Meg. Thank you. Be well. A curious and interested young mother and recently retired fashion executive with an interested eye for life and home style.